I promised a post about stitching text based on a questions posed in my comments section by ‘JennyCNo3’. I thought it would make a good topic because I stitch a LOT of tiny letters on my Christmas ornaments and figured it might be helpful to share some of my trial and error experiences and results. Another friend, Glenda also referred me to a wonderful series over on needlenthread.com all about stitching text. Check it out – it is so helpful and the stitching will amaze you. As the title implies this is focused on small text (like less that a half inch tall - whoa!) Stitching small text has it’s own unique challenges and it can be enough to make you want to skip it all together. But since so many embroidery projects are small and so many patterns lend themselves to the addition of a verse, quotation or name, it's worth it to at least give it a try. For text that is large (1.5 inches and up), I think just about any font will work fine. For smaller text, consider how complicated the letters are before choosing. 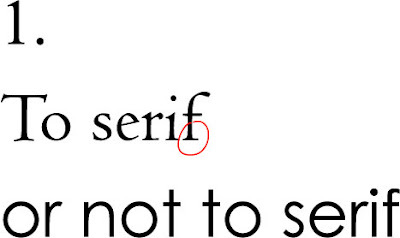 A sans serif font is going to be easier but a serif font is not out of the question either. (serifs are just those little extra bits on the letter ends - I circled one in my image below) It’s not a bad idea to try stitching a few letters on a piece of scrap fabric before you decide on a type style. Good sources for free fonts online are fontgarden and dafont. Do you have a favorite source for fonts? Share in the comments section, won't you? I also recommend keeping notes on fonts you have used and liked. It can be hard to remember months later what exact font it was you used on a project. 2. Layout your text in a favorite software program. Font size: If you can stay above 20 point that is ideal. Anything lower than that can be too small (depending on the font) to be readable when you stitch it. But if you aren’t sure print it out and take a look. Be bold: When you embroider your letters the width of the floss is going to be thicker than the line width you see on your screen. I recommend changing your type to bold to get a better sense of the line thickness. I am pretty religious about using solvy stabilizer when I stitch letters. I can trace my letters right on to the stabilizer, iron it on (depending on the type of stabilizer), and stitch. I have tried a lot of methods and I honestly feel like I get the best results this way. If you are going to do this here is what I recommend: Use a very sharp pencil with a thin line and take your time and trace slowly and carefully – you will be glad you did. For text this small I almost always use a backstitch. With larger letters a stem stitch looks beautiful but for letters this small a stem stitch can look a little awkward. Also, I never use more than 2 strands of floss. 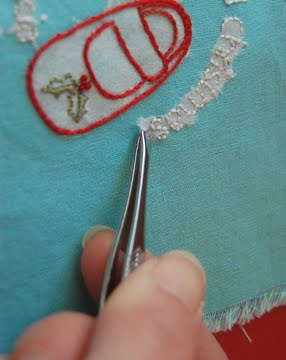 Now after you have stitched your letters you have to carefully and slowly remove the stabilizer. If you use the tear away kind then you will have to carefully pull away the stabilizer from your stitches. This can be tedious but it's important to take it slowly. Try to go too fast and you can end up really yanking at your stitches. It is time consuming but worth it, in my opinion. There are also water soluble and heat soluble varieties of stabilizer available. 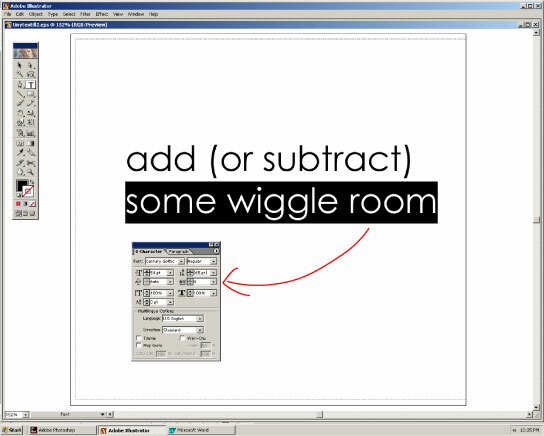 So there you have it – my tips for itty bitty stitched letters. I hope this is helpful for anyone stitching up little tiny letters! If you have any tips to add to this please feel free to contribute in the comments section. I would love to hear what has worked for you! I have never embroidered letters so small, but I always wondered how you do it...thanks for sharing! Nice tutorial :). I've never used stabilizer for stitching letters other than on a t-shirt (evil, evil stretchy t-shirt material!! ), but I like that suggestion. Thank you! 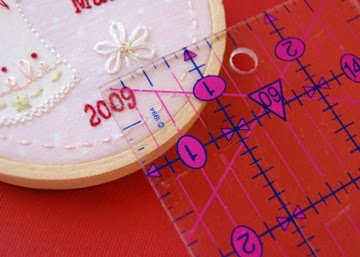 There is so much great information here--this is the perfect way to embroider on felt. I'm taking notes for my next project! i like abstractfonts.com for free and unique texts. i just recently used one of the fonts called 'zebra,' for a christmas project. nothing as small as this, but it came out really well. Thank you so much - this is really helpful!